Italy’s Mount Etna volcano has had its second eruption this year, with bright lava pouring down the side of the crater, contrasting with the snow-capped peaks of the Sicilian island. Etna is the highest active volcano in mainland Europe, with an approximate height of 3,330 meters (10,926 feet), and despite being known to awaken several times a year, it hasn’t had a major eruption since 1992. Late last month, the volcano woke from its slumber for the first time of the year, sparking several earthquakes and the precautionary evacuation of several schools. Whilst the images of Etna’s activity are breathtaking, officials aren’t perturbed by it, skiers can still be seen on the slopes, with an evacuation order yet to be handed down to locals and the local Catania airport remaining open. Mount Etna is categorized by the United Nations as a “Decade Volcano”, an extremely active volcano located within densely populated areas. Italy has another such volcano, which is also known around the world for the destruction of Pompeii in 79 AD. Mount Vesuvius, located near Naples hasn’t erupted since 1944, and isn’t believed to be a current threat. All up there are sixteen of these volcanoes worldwide, and due to the associated risk are under constant supervision. The panel of experts who keep an eye on these volcanoes have deemed this latest eruption as not being dangerous, but are monitoring the situation closely. However, whilst Etna’s activity has yet to be upgraded from anything more than just a beautiful lava display, “Decade Volcanoes” have been known to be incredibly dangerous. Although not one such volcano, Iceland’s Eyjafjallajökull erupted in spectacular fashion in 2010, but there hasn’t been another since, but there could be. Another volcano, the Erta Ale, situated in Ethiopia is showing signs of awakening, with scientists noticing cracks near its crater. The basaltic shield volcano is one of the largest in Africa, and is known to have at least one active lava lake. 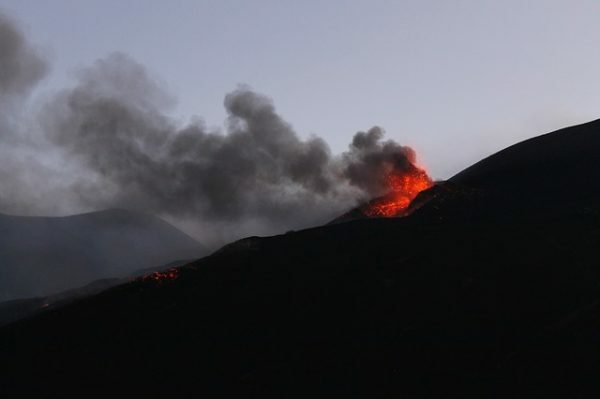 Scientists and volcano experts seem more preoccupied about the potential eruption of the Erta Ale than the current activity being seen in Sicily. What would happen if Yellowstone super volcano exploded?